Pablo Ignacio Riquelme Curiqueo is identified suspect attempted snatching a purse of a woman while riding a Concepcion bus. 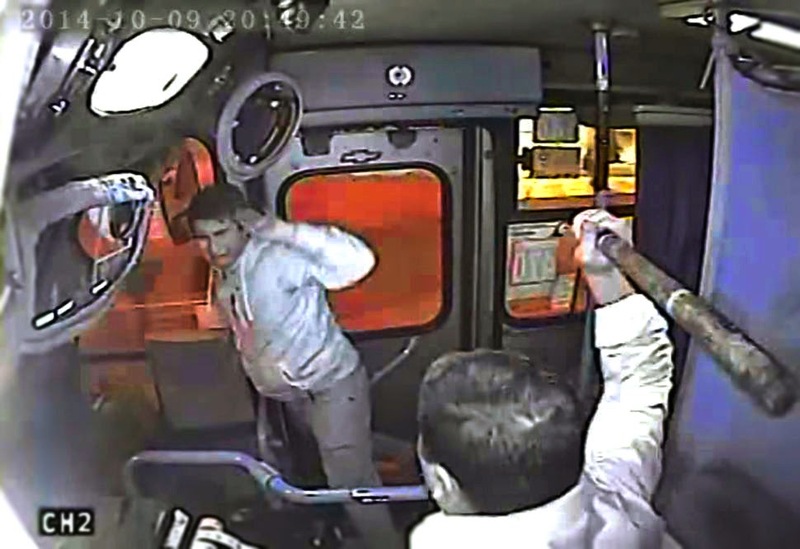 Fortunately, the driver of a Chile Bus grabbed him while trying to escape as the door closes. The driver then beat him with a bat. Further, the twenty two (22) year old cried in agony as the driver was hurting him. He also asked for mercy. It was reported that the suspect spoke Spanish Language. However, after being battered, the driver freed him and dropped the suspect in a police station. According to the report, as the suspect went out, he tried to utter joke to the victim. Meanwhile, in the Sky rise News, the hand of the suspect was caught as the door of the bus slides being shown in the video. Paolo Ignacio is now under the Police custody.